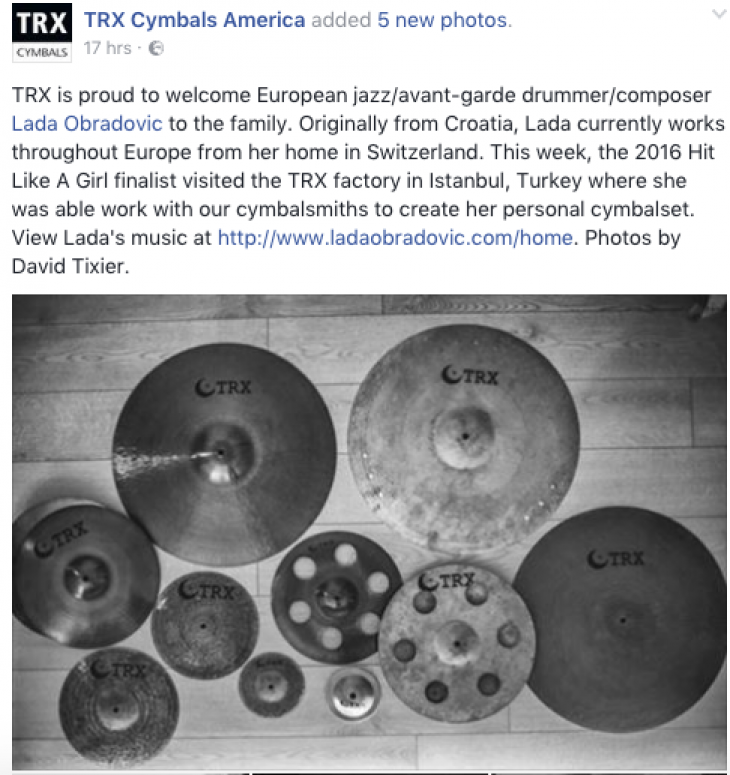 Lada signed an endorsement contract with a great American company "TRX Cymbals" (hand made Turkish cymbals). "TRX is proud to welcome European jazz/avant-garde drummer/composerLada Obradovic to the family. Originally from Croatia, Lada currently works throughout Europe from her home in Switzerland. This week, the 2016 Hit Like A Girl finalist visited the TRX factory in Istanbul, Turkey where she was able work with our cymbalsmiths to create her personal cymbalset. View Lada's music at http://www.ladaobradovic.com/home. Photos by David Tixier."